Hi. 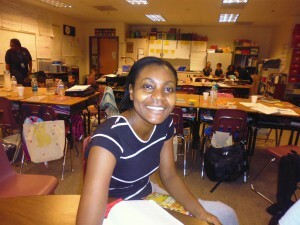 I’m Ms. Howard, and I joined the Maxwell family in 2010 as a 5th grade teacher. I think fifth grade is an important transitional year for my students because it’s their last year of elementary school, and are on their way to the big wide world of middle school. I see my role in preparing them for this next step academically, with the support of their families, as vital. So please, join me in making their last year in elementary school a great success! (English) Another Snow day on March 14!